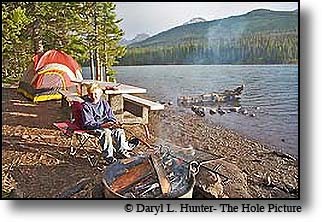 Hyalite Reservoir is a small but gorgeous 206-acre lake located about 12 miles south of Bozeman Montana, 10.5 miles up Hyalite Canyon. The reservoir is at an elevation of 6,700 feet elevation in the Gallatin Mountain Range and it is a major centerpiece of Hyalite Canyon, Montana State University and Bozeman’s recreational playground. The reservoir was constructed in the late 1940’s and enlarged in 1993. Posted on Saturday, March 9th, 2013 at 8:27 pm. 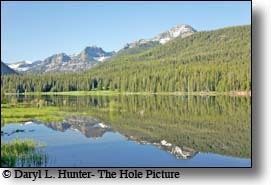 Filed under: In Media, My Places Tags: bozeman montana, Daryl L. Hunter, Hyalite Reservoir, montana, photographer, western byways	RSS 2.0 feed.